Tennis is a great social activity. Whether you play with your best friend, or play in a league, or with your family, tennis provides an enjoyable way to get in shape and keep up with the people in your life and community. Share your match stats, notes, lessons learned with your friends or on social media so that they can cheer for you. If you are playing on a league, share the players you competed against with your team so that they know what to expect. 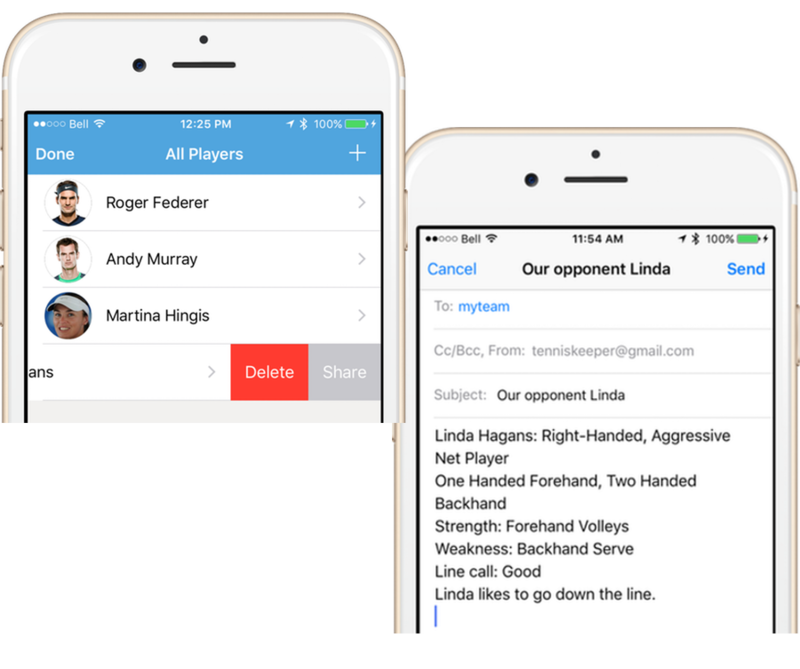 Have a call that you couldn't settle with your opponents, or unsure about your friend's tennis level, the International Tennis Federation (ITF) Rules of Tennis and NTRP tennis ratings are both at your finger tips.